I’m so excited about this year! There’s a lot of fun things planned (big changes for me…which I will be announcing soon…) and TONS of FABULOUS books set to be released, so hold on to your feathered-hats, ladies, it’s gonna be a BLAST! This month I’m thrilled to feature a great friend of mine, fellow blogger and author extraordinaire–Naomi Rawlings! I’ve just read and reviewed her latest book THE WYOMING HEIR (which releases today, by the way!) and I’m very excited to get to know her more, aren’t you? What a great way to start off the year!! Thank you so much for being with me this month, Naomi!! I’m pretty boring, really. I live in northern Michigan, way way way northern Michigan, where we get really cold temperatures and lake effect snow to the tune of 200 inches a year. Everyone in my family likes to snowshoe–even my three year old, and my husband is a modern day backwoodsman. As I’m typing this, he’s got a dozen or so animal pelts sitting in our shed and ready to take to the fur buyer when he comes through town next. Have you always wanted to be a writer? At what point did you feel God calling you to do this? No, I didn’t always want to be a writer. In fact, I stumbled upon it rather by accident. I had an English degree and a small child I stayed home with. Plus I was bored and had exhausted all my friends supplies of romance novels, so one afternoon I sat down and decided to write one . . . Three years and four manuscripts later, I had my first contract. As for God calling me to write, I know I’m in His will and doing what He wants at this point in my life, but I never had any divine God moment where God told me I HAD to write. It was more just a sense and desire God put into my spirit during the time I was first learning the craft. Your books are gripping! How do you decide what you will write about? Ha! Not the usual way, I can tell you that much. I’m a bit of an oddball when it comes to writing and how I think about it. I usually decide to write a book because there’s an underlying message I want to convey. I’ve done books about forgiveness, redemption, honesty, human value, and loving your enemies. This leads me to write stories set in rather unusual places like the French Revolution or Michigan’s Upper Peninsula (where I live). The Wyoming Heir is a bit of exception in that I didn’t start with a theme or message. This book I wrote because way back when I was trying to sell my first French novel, everyone was telling me I was ready to be published but no publisher wanted a French story. So I came up with a cowboy story that I thought might interest publishers and then decided on a theme from there. The theme ended up being about obedience. What are FIVE of your favorite things– doesn’t have to be book related! Oh, wow. I’m singing the Marie von Trapp song in my head after that question. 🙂 Okay, I’m going to answer assuming that God and family are already givens. What is your favorite Bible scripture and/or story? 1 Corinthians 15:10–“But by the grace of God, I am what I am . . .” I love this verse because it’s a constant reminder that God created me just the way He wanted me, even with all my flaws and imperfections. And His grace will sustain me through the flaws and imperfections and trials. How much fun! Thank you Naomi, for this great interview! And ladies, it’s not over yet. Naomi is doing a GIVEAWAY of her latest release THE WYOMING HEIR so if you want to be entered, be sure to comment below and leave your email addy!! Hugs and Happy Reading to you all!! I just love that your from Michigan!!! Where exactly in the UP are you from? I have friends around Marquette. Anyways, I’m from the southwestern corner and I have a great love for my state!!! Can’t wait to read your new book!! I’m a couple hours west of Marquette. Believe it or not, we get more snow here then they do even in Marquette. I’m almost to Wisconsin, but still on Lake Superior. Naomi is such a sweet person and I’d LOVE to win one of her books. Please enter me! 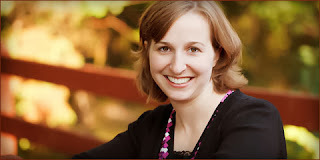 heatherdaygilbert (at) gmail (dot) com. And congrats on your release, Naomi! And I’m wondering about your big changes, Amber! Thanks Heather! 🙂 I happen to think you’re rather sweet yourself. Happy New Year! And snow? I am not amused, there is snow blowing sideways right now that greeted me after my grocery trip. bah humbug. Wondering about you changes Amber! Yes, but isn’t the snow pretty? 🙂 You should take the kids sledding . . . or rather, you’re probably in snowman building land down there instead of sledding land. Build a snowman. Take a picture. Post it on facebook. That’s right up your alley, isn’t it? Naomi, I enjoyed your review. I especially liked your reminder of 1 Cor. 15:10. It is so easy for me to fall into the habit of judging myself for my flaws and not remembering I am how God created me, so thank you . Congratulations on your book. It looks like a good read. Glad the verse was an encouragement to you, Jackie! Great interview! We have been getting amazing amount of snow here in mid Michigan this year – I can’t imagine what you have up there right now. I love that verse, what a great reminder for us all. Thanks for sharing! It looks like a lovely world of clean fluffy white. Rather enjoyable. 🙂 And Susan, I have family in lower Michigan and they’ve also gotten a lot of snow for their location. Thank you for introducing me to this author. This sounds like such a good book. I would love to win a copy of Naomi’s latest release! I think I have a copy of her first book in my TBR stack. I’m going to have to go looking for it and pull it out. I wish it would snow here on the East Coast! Anyway, read the review and it sounds like a great book! Don’t you have a snow storm headed your way, Lisa? I’ve been wanting to read this book. That’s cool that your husband is a modern backwoodsman. You should use his occupation and hobbies for a hero in one of your books some day. I’ve thought about it, Sylvia, but he would be more like an eccentric minor character that stretched the limits of believabilitly. He can give you a twenty minute lecture about how brain tanning is better than other tanning methods, and he can also tell you about how an animal’s eyeball is the most nutritious thing to eat in a survival situation. Evidently an eyeball contains more nutrients than any other body part. Whew! I still think it would be interesting. An eccentric hero would be very refreshing and would stand out from all the others. People would remember him. That’s what makes people like Sir Percy Blakeney stand out. Maybe Lisa should be informed about the animal’s eyeball since a storm is headed her way. What if she gets stranded! LOL! When my husband shot a deer this fall, my oldest helped him track it and then brought me back the deer heart–which we had to eat. :-/ Good luck with the liver thing. I haven’t been asked that one yet, but I’d bet it’s coming. And yes, eating a real eyeball gives you points. In fact, I think you should post a list of the top 10 weirdest things you ate in China. Didn’t you have squid or something there too? Sylvia, my husband would definitely stand out in a novel, now wouldn’t he? And I think sending Lisa that eyeball is a great idea. Don’t want her to starve or anything! Thank you for sharing this great interview. 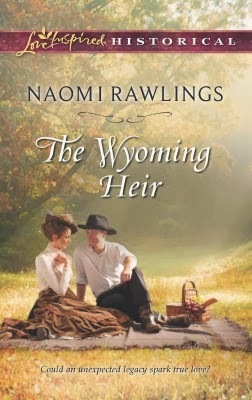 I loved learning more about Naomi and look forward to reading THE WYOMING HEIR. I would love to win a copy; thank you for the opportunity! Thanks for stopping by, Brittney!